This is one of my daughter's paintings. She painted it three years ago when she was in kindergarten, and it remains one of my favorites. 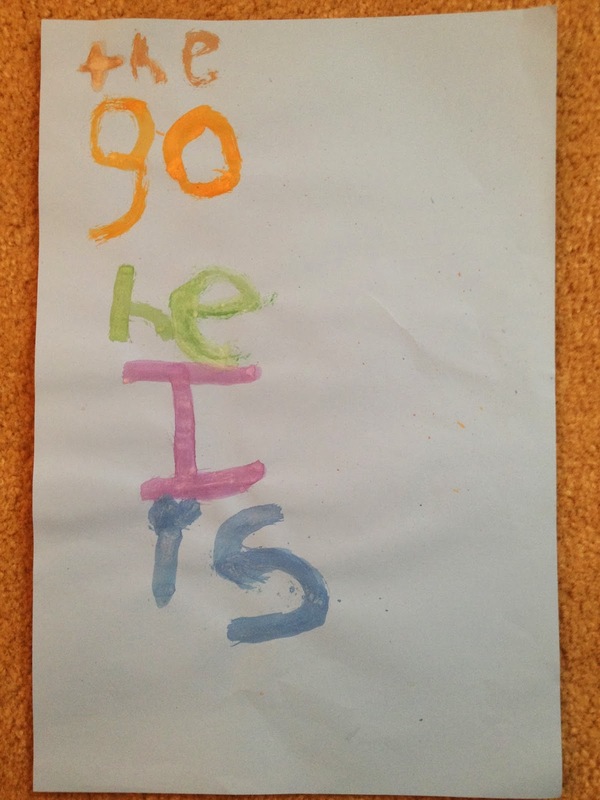 What it is: A list of sight words. She was very excited about learning to read, and this was a group of words she thought a kindergartener should be able to instantly recognize and understand without sounding them out. She chose different colors because she is a kid and she wanted the words to be different colors. And, the "i" in the word "is" is dotted with a heart. More on that "i" in a minute. I was curious about how people would respond to this painting. Words have such powerful meaning that it can be difficult to see past them and imagine anything else. Of course, the usual cadre of Friday Rorschachers responded, and they did not disappoint. @mwachtel My son's sight word list. @mwachtel Clear indications of a damaged ego. @mwachtel I immediately saw Go Heels, since UNC beat Duke last night. I love my TarHeels. @mwachtel It looks like @joelosteen sermon notes. What you might have missed: In person, this painting is really spectacular. The colors of the words jump off the page, and there are a lot of little paint splatters. It creates a sense of urgency and motion, as if my daughter were frantically painting these words, in a hurry to learn to read. This probably isn't too far off the mark--she learned to read at a normal age, but she expressed a lot of frustration when she was very young about not being able to read on her own. She once said in the middle of a temper tantrum, "I'm two, I'm tired, and I can't read!" Through her words and deeds, she has always equated reading with both freedom and power. Friday Rorschach is a fun project designed to engage readers' creativity. To participate, follow Max on twitter. He posts the drawing every Friday morning around 10am ET/8am MT. There are no wrong answers to the Friday Rorschach. Yesterday, Arapahoe County District Court Judge Carlos Samour ordered a new sanity evaluation for the Aurora theater shooter. In a lengthy (and heavily redacted) ruling, Judge Samour found that the suspect's initial sanity evaluation was inadequate. The judge also refused to appoint one of the prosecution's experts as the new evaluator. Rather, the judge ordered the Colorado Mental Health Institute at Pueblo (one of Colorado's two state mental health hospitals) to appoint a new, independent evaluator. The Institute has until March 10, 2014 to appoint the evaluator, and the new evaluation report is due to the court in July of 2014. Although the publicly available motions and rulings are redacted, leaving out important information about the contents of the original evaluation, there are clues in them that lead me to an important deduction, of which I am also completely certain: The first sanity evaluator's opinion was that the shooting suspect was insane at the time of the alleged events. For those who are not familiar with the intricacies of the legal motions and rulings, this may seem like little more than a guess, so let me walk you through my thinking (note: this process was a joint venture-- two excellent investigative reporters from 9 News, Jeremy Jojola and Chris Vanderveen, and the 9 News Legal Analyst, Scott Robinson, all worked on this for months and came to the same educated conclusion). 1. Late last year, prosecutors objected to the 128-page sanity evaluation, produced by the Colorado Mental Health Institute at Pueblo (CMHIP--pronounced Sim-Hip). 2. In motions to the court that were filed at the time of the objection, prosecutors argued there were three main conclusions in the evaluation, and they only objected to one of the conclusions. 3. At the time, we had some guesses as to the three conclusions addressed in the report, but we were not certain. We knew for sure that one of them was Sanity. I strongly suspected that another one was Competency To Proceed, as it is standard practice for CMHIP to include a competency evaluation in a sanity report. The third was a bit of a mystery and could have involved one of several issues. 4. In yesterday's ruling, Judge Samour referred to the three conclusions from above. He confirmed that two of them were Sanity and Competency To Proceed. He wrote that the third evaluation conclusion had to do with Competency To Be Executed. 5. In his ruling, Judge Samour agreed with the prosecution that the evaluation was incomplete. He ordered a new evaluation, which should focus solely on Sanity. Competency, and Competency To Be Executed are to be excluded from the next CMHIP evaluation. At this point, remember that the prosecution only objected to one of the conclusory opinions in the original evaluation, and the judge agreed and ordered a new sanity evaluation. That leads me to believe the prosecution did not agree with the opinion of the sanity evaluator on that one point. The prosecution's goal in this case is to convict the shooting suspect of dozens of counts of first-degree murder and secure the death penalty. If a jury finds him legally insane, he cannot be held criminally responsible for his actions. Logically then, there is one obvious reason why prosecutors would object to the sanity evaluator's findings--if those findings were that the shooter was insane at the time of the alleged events. If the evaluator's conclusion was that the shooter was sane, there is no clear legal rationale for the prosecution to object to it. So, that is the thinking. Even with much of the judge's reasoning for his decision redacted, there are enough clues to piece this opinion together. There is always a chance I am wrong--it could be that the original report states the shooter was sane. But, that makes very little sense in my mind. 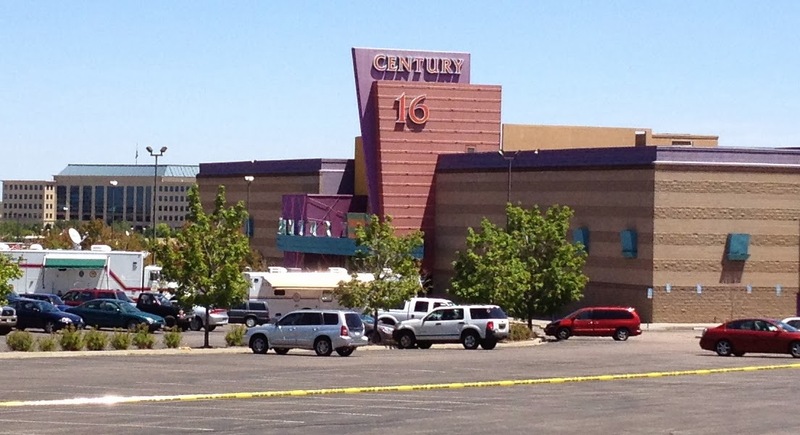 Rather, I am almost completely certain the original evaluation states that the Aurora theater shooting suspect was legally insane at the time of the shooting. If you see any holes in my logic, I would love to hear from you. 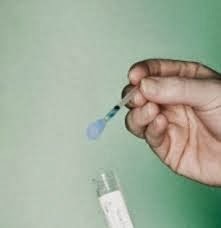 This week, researchers from the University of Cambridge discovered something fascinating: They were able to predict which teenage boys would develop clinical depression within three years using a simple, inexpensive saliva test. The researchers examined both boys and girls in their study. They asked the juveniles about depression symptoms, and they tested the amount of cortisol in their saliva. Cortisol is a naturally occurring hormone that is released when the body is under stress. This test has been used for decades in psychological research on anxiety. When analyzing their data, the researchers found that boys who are mildly depressed with high levels of salivary cortisol are 14 times more likely to develop major depression than boys with mild depression and low levels of salivary cortisol. Girls were only 4 times more likely to develop major depression. There is more research to be done, but this has the potential have huge implications for millions of teenagers. Depression is one of the most common mental disorders, and it is much easier to treat when it is still mild. By being able to screen for potential future problems, schools and doctors can help a lot of boys avert what could be a lifetime of misery. And, it may even have the effect of lowering school violence--major depression is the most common mental disease in boys who commit suicide and who engage in school shootings. This is one of my son's Lego creations (he actually refers to them as "creations"). It is similar to many of his drawings in that there is a storyline with a lot of aggressive action. It is essentially the battle of good versus evil. What it is: This is a castle battle scene. The building with the red and gray roof is the castle. there is a drawbridge in the back, and castle guns are sticking out of the front. The orange Legos on the right side of the picture are "the good guys." The two gray Legos and the one tan one are "peasants" who are running into the castle. On either side of the castle are catapults. One has just launched a black ball onto the head of a "bad guy." The other one is about to launch a "hot pot." Facing off against the good guys are a series of three catapults. One is loaded with fire (the orange Lego). One is loaded with a rock (the brown one), and one is loaded with "something green." What you thought it was: Many people picked up on the idea of a battlefield in this sculpture. “@mwachtel: #FridayRorschach 3D: What might this be? pic.twitter.com/TVKszIisYB” A feeding and self-medic station in a future survival game. @mwachtel a command centre, looks like it was from star wars logo originally? @mwachtel The madness and raving of throwing lesser, east European non denomination coins at peasants. @mwachtel a Chinese man with a fu Manchu mustache smoking a red cigar. What you might have missed: No one mentioned the pieces that were hanging over the edge of the base. That might be psychologically significant (possibly representing a need to keep information neatly ordered and to ignore the extraneous). Also, no one mentioned the blue, white, and black pieces that are between the castle and the catapults. According to my son, that is the castle's patio. One last point: I don't like the fact that many of my son's drawings and Lego creations involve aggression and war. That is certainly not something that is emphasized in our house. But, I feel better when I remember that many of my drawings as a child had the same themes, and I turned out to be a reasonably peace-loving, war-hating adult. What do you think it is about boys that attracts them to aggression? This is one of my daughter's drawings. She has been into making collages since she was about two years old. She used to cut out pieces of white paper and tape them onto larger pieces of white paper. She is now seven, and she is still at it! What it is: It is two feet on a Mexican rug. My daughter told me the rug is a welcome mat. One of the feet is clean, and the other one is dirty and about to be wiped on the rug. She read a biography of Frida Kahlo recently, and she created this collage shortly thereafter. She had no explanation as to why there are two right feet. @mwachtel 2 right feet (2 different ppl) on a Native American rug. @mwachtel Yeti feet on a hotel bathmat. @mwachtel Sasquatch prints on a rug. @mwachtel feet on a doormat. @mwachtel It's a set of footprints on The Dude's rug. It really ties the room together, man. What you might have missed: You can't really tell in the photo, but the fringe around the edge of the rug has been cut apart and looks a bit frayed. In person, it really does resemble a welcome mat. Also, my daughter was imagining these were her feet, hence the brown foot was dirty, as opposed to representing a darker skin tone. Ironically, she has a fairly dark complexion, and her skin tone is much closer to the brown foot than it is to the yellow foot. Most people who incorporated the different colors of the feet into their responses interpreted this as an embrace of multiculturalism and diversity. That is probably what contributed to the number of responses expressing harmony this week. Does it change your reaction to the picture to know that it is actually a dirty foot? Yesterday, an 18-hour hostage standoff ended as well as could be hoped for in Arvada, Colorado. 34 year-old Don Pooley broke into a neighbor's house, accidentally taking a 13 year-old boy hostage. Pooley spent most of his adult life in prison on various types of charges. He was paroled in late 2013, and he absconded from parole in January of 2014. Police responded to a "domestic" call at the house where Pooley was residing, when he ran out of that house and started the hostage situation. He was on the phone with police fifteen minutes later, and he called Denver news agencies, "spreading misinformation" shortly after that. 18 hours later, a sniper shot and killed Pooley as he exited the house to gather some goods the police had delivered to him. Fortunately, the hostage was unharmed. Physically unharmed, at least. Hostage situations are extremely dangerous, and police negotiators are well aware of their primary goal: save the hostage(s), even if that means killing the hostage taker. 1. Hostage situations are rarely planned. The hostage taker almost always accidentally and impulsively ends up barricaded in a house or business with the hostage. 2. The hostage taker has no plan to get out of the situation. 3. If the hostage taker does not give himself up peacefully and quickly, the situation becomes considerably more dangerous. 4. The longer the crisis lasts, the more the hostage taker realizes he has no way out. 5. The hostage taker's thoughts almost always turn to murder-suicide as a way to end the stand-off. took charge of the situation in order to maximize the chances of saving the victim.